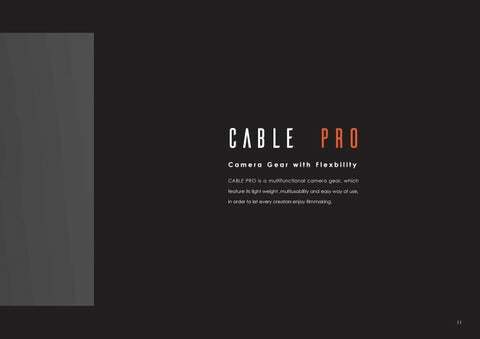 CABLE PRO Camera Gear with Flexbility CABLE PRO is a multifunctional camera gear, which feature its light weight ,multiusability and easy way of use, in order to let every creators enjoy filmmaking. Background Design for Every Creative Filmmaker Filmmaking, like movie or TV show, used to be seem as a difficult thing. Only the professionals would be able to join it. 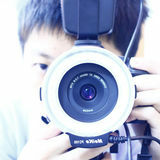 Thanks to the development of technology ,there are more and more dependent filmmaker nowadays. Camera gears are always Bulky and Limited. How can we make them more flexible? Not limited by Space CABLE PRO moving in high speed mode in order to catch fast-moving targets.In cable mode, You can use rope as track so that your shot wonâ&#x20AC;&#x2122;t be limited by any kind of obstacles or the length of rail. Steady and Slow CABLE PRO moving in low speed in order to take close-up and static thing.In car mode , You can make your shot focus on still object , and the foldable arms is used to change from Dolly shot to Arc shot. CALE PRO is used nRF24L01 radio module to control. be up to 100 meters. Fit with all camera CABLE PRO are equipped with 1/4inch screw and 3/8inch screw holes , which is able to connect all kind of camera . Foldable Structure The structure of CABLE PRO is foldable which volume can be less than one platic bottle ,so user can take it to any kind of space easily. Prototype & Test In this project, We didn''t just come up with an idea , instead ,we also focused on the engineering challenges in this product which take us lots of time to solve . Structure Prototypes There were actually four prototypes before we made the final model . These prototypes really helped a lot on testing stability of product's structure. First of all , we used brushed DC motor , but it turn out its torque is not enough . And then we try three different Brushless motors .In the end we choose the motor which is usually used on gimbal with high torgue and lower RPM. 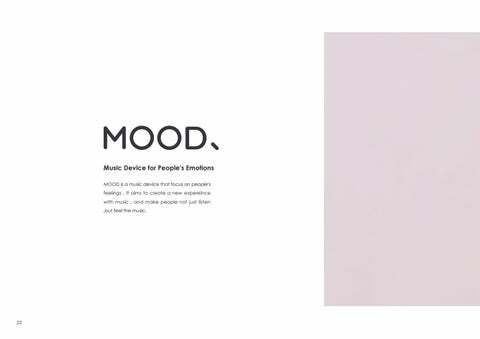 Music Device for People's Emotions MOOD is a music device that focus on people's feelings . It aims to create a new expereince with music , and make people not just listen ,but feel the music. People live at a fast pace of life The convenience of technology make people able to listen to music on any kind of media like Youtube , Spotify and so on. The truth is that fast pace of lives make people have no time to slow down and truly enjoy the music. Design Goal Not just Listen, but Feel the Music. Usage of Vinyl Player People love vinyl player nowadays , not just because of its sound . The most reason why people so love them is because of its ritual like , pulling it out of its sleeve, cleanning up the record , flipping the record over, putting on the turntable, listening to an album .So that is why we want to integrated the usage of vinyl player into the way people use this product. Concept Deconstruction First of all , we deconstructed the design goal mentioned before nto four kinds of feelings. 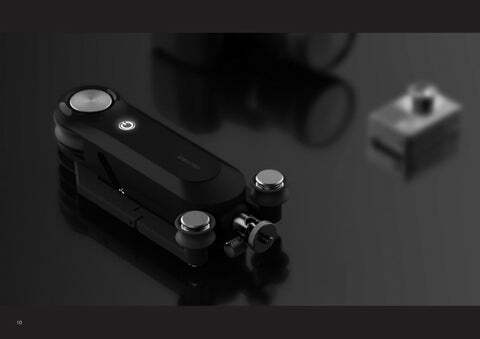 These four feelings are feelings that we want to make our users feel when they are listening music with our product. Interacition with Music Play the music by Spinning it In order to elicit people's emotions for music, MOOD combine the ritual of playing music back into people's experience .When they spinning the plate like playing vinyl player, MOOD let them unconciously put more attentions on music. Surround people with music There is a ambient light on the back of the MOOD. 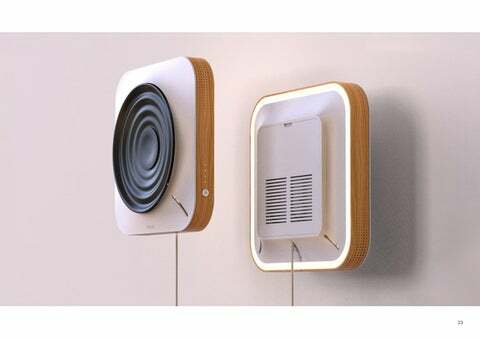 The light would be turn on when user plays the music ,which aims to make the vibe of music affect entire enviroment. Design Process From Idea to Reality First of all, we sketched the basic comcept of our idea and used the methodology of Kansei Engineering to exploring material and form of product. After all of this , we used Arduino to built up our system. Prototype & Test It is a challenge to design all the electronic circuit on our own , So we used Arduino Mega and some modules to build this system as a prototype, which make it more simple. to classified they into four clusters. Material Exploration In material cognition experiment, we choose fifteen different materials , including glossy plastic , rough plastic , glossy metal ,textured metal , five different woods ,and so on.It turn out that people mostly feel rough wood warm, feel white rough platic softness , and black rough platic calm. as representative vinyl players. And then we removed colors and material from each photo and draw them as line drafts to make sure that subjects would only consider the feelings of product's form. Bo-How Easy pour over coffee utensils Bo-How is a set of pour over coffee gear , designed for people who is not familiar with pour-over coffee . The purpose is to make pour-over coffee easier for everyone . Research Pour-over Coffee When researching pour-over coffee,I visited many baristas who specialize in coffee.We discussed the process of making pour-over coffee, exploring which part could affect the quality the most.In conclusion,We think that pouring water is the most difficult part when making a pour-over coffee,which affects quality the most. market,which results in too many utensils at the same time. the powder bloom.An extremely high skill is required in this proccess. Design Proccess In the early stage of ideation ,I forcus on the problems of each flow of making coffee . Then , I identified which problems were pain point and sketched for them . 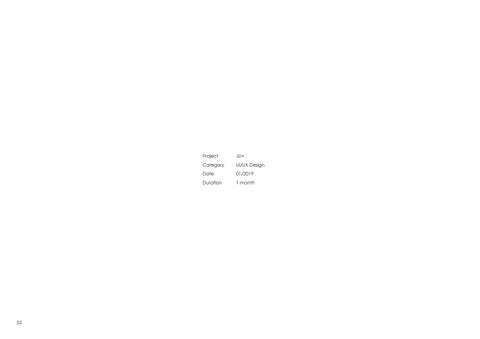 After few times prototyping , I determined overall details and dimensions of the entire product . Finally , I modelled for the final product by handmading and compurtermodeling . Pouring Guidiance There is a level on the center top of the lid , which can guide the user when pour water . All in one kettle Combine all the utensils like kettle , thermometers , dripper , and filter together. Invisible spout I did not abandon the original design of kettle . Just hide the long spout into the body of the kettle. be twisted at will . Pouring Guidiance When kettle standing still , the bubble is in the center of the spirit level . When kettle is tilted and pouring , the bubble move from center to the red mark . As soon as the bubble reaches the red mark , the kettle start to emit water. in 1 square meter. 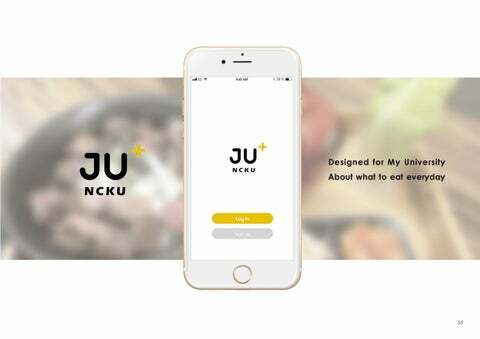 Since I was a freshman in NCKU ,I found that it is really hard to decide what to eat everyday not only for me but also for the people I know in NCKU. Wireframes We drew wireframes of every pages and discussed the details. Gathering People Together JU in chinese is " 揪 " which means gathering people together. That is also the reason why we designed this APP. JU Your Friends JU in chinese is " ć?Ş " which means gathering people together. That is also the reason why we designed this APP. Fast Search Simple YES or NO question We make recommendation like a simple YES or NO question so that people won't be hesitate when they making their decision. JUING Map JUING map is an easy option for people to quickly undestand who is JUING right now and where they are. Background Receive Too much infomation when shopping When people go shopping , they always receive too much infomation ,which usually result in the following problems, like they always find it hard to decide which one to buy ,and spend too much time on searching the ideal one . That is why I want create a better experience of shopping for customer. Persona We create a typical persona as our user ,who often goes shopping , and always faces with some problems ,when she is shopping. User Journey Map We let the persona we made before go through this whole user journey , trying to find the pain point when people go shopping. DOBO : A Smart Shopping System DOBO is a system built in clothing store, which connected with shopping baskets, customers and information of clothes in the store, aiming to solve the problems people confronted when they go shopping. DOBO APP The APP will connect to the shopping basket in order to know what clothes inside. record what clothes is in it . shopping basket to identify what clothes is inside. the clothes will be put inside the digital closet. 2.Start shopping Connect a shopping basket with the smartphone. 5.Rank&Check out When checking out, DOBO can rank clothes based on their preferences. 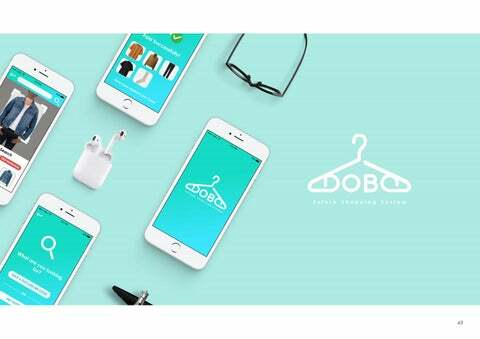 Rank every clothes DOBO app can give a rank on each clothe before they check out . The rank is according to their history data of clothes they already bought. 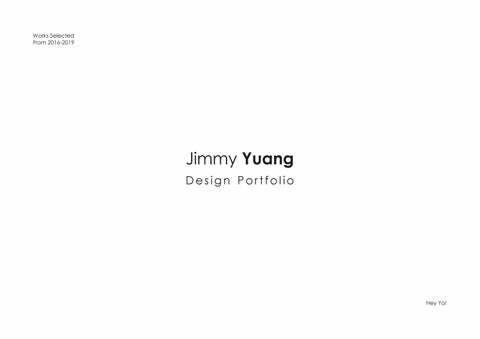 Crowdfunding Project Last year summer , I interned in a design studio " 源 源鋼藝 " and participated in a crowfunding project not as a designer but a photographer of the promotional video . Startup Team Lasty is a startup team making ECO bag . Last year I was invited to be a part of it as a producer and director of promotional video. Summer Camp " 亞 設 王 " is a summer camp for high school students , aiming to promote our department . NCKU ID Exhibition This motion graphic video is for our semester exhitbition and it aims to let people understand what design is . 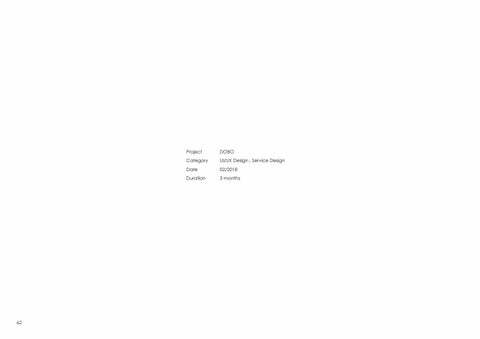 express these concept through the design. as " 蔬醒 " .